Sweep! SWEEP! Ever since my wife and I moved to upstate New York a couple of years ago, we’ve been trying to take advantage of everything the Northeast has to offer. We’ve caught the horse racing fever at Saratoga, and we’ve taken weekend trips to Vermont and Montreal. We’ve tried our hand at skiing again (it had been at least 20 years since I’d been on skis). And just recently, we’ve gotten into curling. Yes, curling. Curling. That sport where a 40+ pound block of granite is pushed down a sheet of ice while two people try to “sweep” (i.e. melt) the ice in front to make the stone travel further. 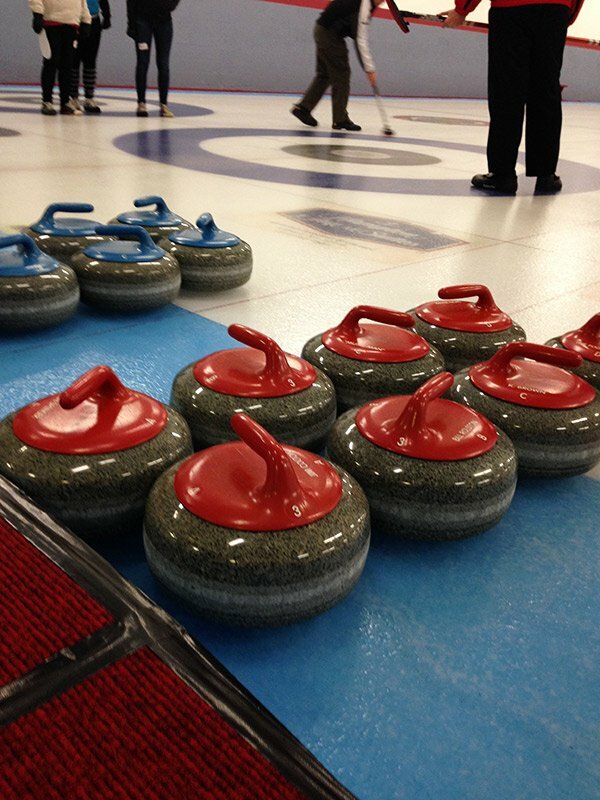 (Fun fact: Did you know that all curling stones come from Scotland? The sport originated in Scotland and still has strong Scottish ties.) We went to an open house at the local curling club a few weeks back, and we’ve been back several times since! In fact, we’re pretty sure we’ll be joining the club when the season starts again in the Fall. Until then, we’ll be enjoying everything that Spring and Summer have to offer…which around our house often centers on fruit and veggies! Speaking of food, these No-Bake Blueberry Cheesecake Bites are perfect for this time of the year. 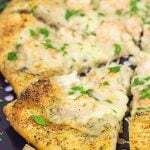 They are incredibly easy to make and perfect for get-togethers with friends and neighbors. 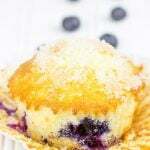 If you like blueberries, then you need to make a batch of these bites ASAP! 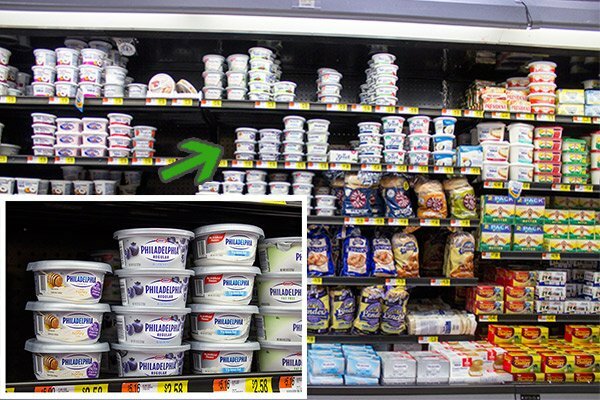 I stopped by Walmart a couple of days ago to grab a few things for the house, and I stumbled onto an in-store demo of the new Philadelphia Cream Cheese flavors. Of course I had to stop and do a little taste test! I’m a big fan of Philadelphia Cream Cheese, and I almost always keep a stash of it on hand for everything from bagels to cheesecakes. The new flavors are made with real fruit and veggies, and they were all really tasty. (The new flavors are Blueberry, Chive Onion, Garden Vegetable, Jalapeno, and Strawberry.) I must say that Jalapeno was my favorite, but I didn’t think Jalapeno cheese cake bites sounded like the best idea…so I went with blueberry. And woah…I’m glad I did! 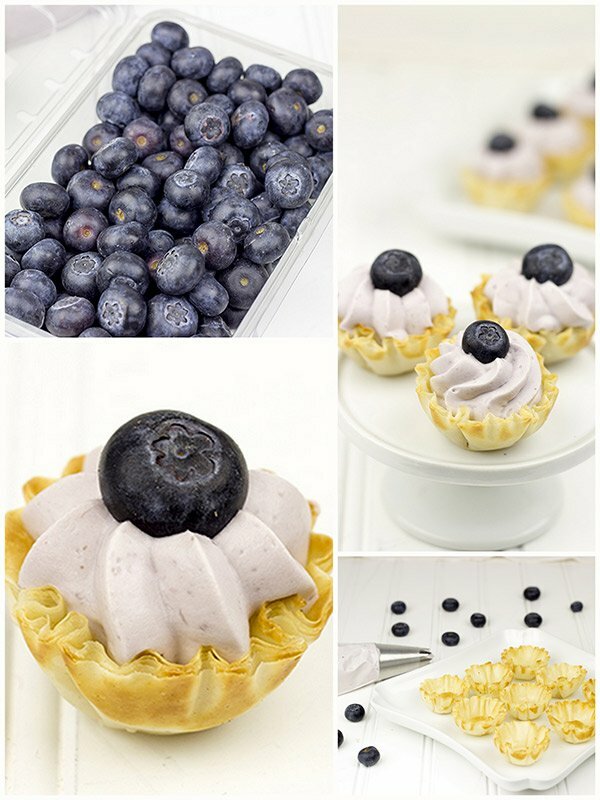 These No-Bake Blueberry Cheesecake Bites are an easy and incredibly delicious treat! As warmer weather approaches, my wife and I are beginning to plan out our garden. We always plant an assortment of herbs, and we have several blueberry and blackberry bushes that have finally started producing a decent crop each year. Fresh berries are one of my favorite things about the Summer, so you can imagine how excited I was to create this easy dessert that’s packed with blueberry flavor! As if the blueberries on top weren’t enough, the cream cheese also includes real berries. Count me in! I’m a bit sad that my wife and I discovered curling here at the end of the season, but I’m excited for the summer and all of the backyard parties with neighbors and friends! 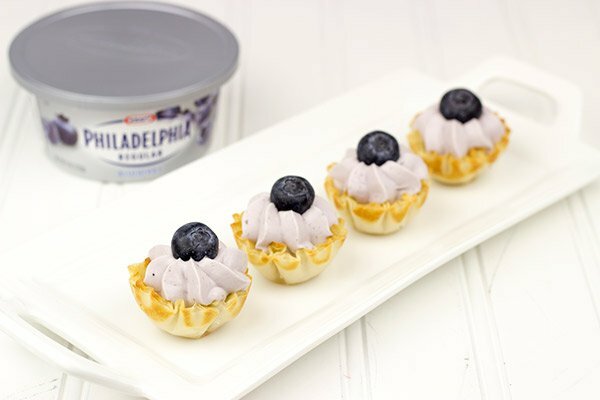 So here’s to warmer weather, fresh fruit, and these delicious No-Bake Blueberry Cheesecake Bites! Using a handheld mixer, beat the cream cheese on medium speed until smooth. Add the sugar and vanilla extract; beat on medium speed until fully incorporated. In a separate bowl, whip the heavy cream until medium peaks form. 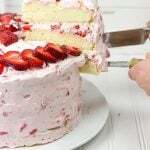 Fold the whipped cream into the cream cheese mixture. Using a piping bag fitted with a medium-sized star tip, pipe the cream cheese filling into the mini filo shells. 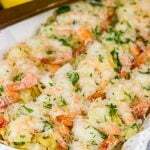 Cover lightly with plastic wrap and refrigerate 2-3 hours, or until filling is set. Garnish with fresh blueberries before serving. Dude I’m so jealous you actually get to play curling. Since the Olympic Games I’ve been obsessed with it, I so want to try it. BTW those cheesecake bars looks amazing! That’s exactly what happened to us! We watched some of the Olympic curling, and we were like…we need to try this! And now we’re addicted…it’s such a fun sport!! Thanks for stopping by, Mike! What great pictures of the blueberries! My mouth is watering………. Thanks, SueAnn! Just a couple more months until we get blueberries in our part of the country! We need to get the wolfpack together and start doing some curling training. I’m pretty confident that with our combined athletic prowess, we can be contenders for the 2018 winter Olympics. Let’s make it happen. Seriously, so jealous that you guys have been getting the opportunity to go curling. I so want to try it. And I’m super excited to be working on a recipe using that jalapeno cream cheese…. hopefully will get it posted on Wednesday. 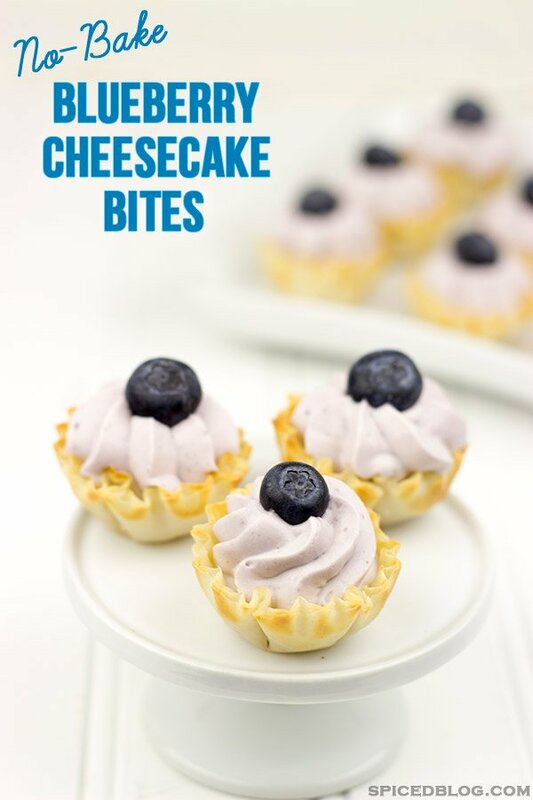 These blueberry cheesecake bites are pure genius! Never would have thought of that. Nice work! I am totally behind setting up a rigorous training program for the wolfpack. With determined effort and matching team jackets, I think we can easily make it to the Olympics in 2018! Curling is so much fun…you and Asheley totally need to find a place on Long Island to check it out. 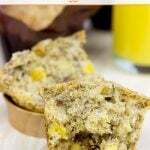 And I loved that jalapeno cream cheese…can’t wait to see what you do with it! Hats off to you and your wife for giving a curling a try. I’ll be honest, it makes absolutely no sense to me! What does make sense to me are this little cheesecakes. 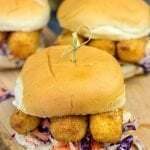 I’m sort of a sucker for bite sized foods. You can eat more but convince yourself you’ve eaten less! These are wonderful! When I see curling on TV I always think that would be fun to try. 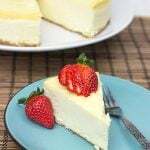 I have terrible eye/hand coordination and would probably stink at it, but it would be fun trying 😀 Speaking of trying…I can’t wait to grab some of this cream cheese and whip up a batch of these bites. They just look delicious! These are super cute and because they are bite size and no bake I can eat a dozen right?? Wow! I can’t believe you just discovered blueberries, Jeff! I absolutely love all summer berries…and blueberries are one of my favorites. I really hope you enjoy these cheesecake bites. They’re a fun (and easy) dessert! Thank you so much for commenting, too. Have a great day!